Earlier I posted methods of earning quick cash legally. In this article let’s talk about a situation where all of a sudden you have a need for huge amount of cash, the situation we term as a financial emergency. And let’s say you don’t have an emergency fund built up. How can you quickly arrange for that large amount of money? This is not about making money, it’s about arranging the money for the emergency need to pay off later. You don’t have it available in your bank account, and you really need to get your hands on this money in a short period of time. What are your options? From my point of view, you actually have three or four solid options at your disposal. Chances are, one of these options will work for you so take a deep breath and try to tone down your panicked state. Also, like to mention that easier ways to get the cash would be to draw cash on your credit card or going for payday type loans. Let me remind you that there are better options available to you so, do not fall into those high-interest traps. Let’s dive in to see what you can do to scrounge up this large sum of money. You can get $250 by taking it to the scrap yard, but now you don’t have a car. In your mind, you need to come up with $10,000 to buy another dependable car, but hold on a second. Think about your other options. If this happened to me, I would start thinking about who could potentially take me to work for a little while – I could even pay them for their efforts in picking me up and dropping me off, which could be a win-win for both of us. Or, maybe I could survive without a car for a while and hitch a ride on the city bus or ride my bicycle. So I get some time to arrange for the cash, my cash need is still there but is not very urgent anymore. Many times, emergencies are not truly emergencies and can be solved through other avenues (other than coming up with a large sum of cash). Personal loans are the best option if you have moderate to very good credit. You can get a loan for as little as 6% interest. Compare that with 20% cash advance interest on your credit card. Here is my constantly updated list of best personal loans. We do constantly keep updating this list, so you’ll always find best options available. One of my colleagues took a personal loan for his wedding from personalloans.com at only 6% rate which is cheap even compared with some bank or credit unions. You can get Personal Loans up to 35,000 and if you have a decent credit you can get a low-interest rate which you can afford. You can give it a serious try. At least, you can see what rate and how much loan you can get from them. There might be other good lenders even better than personal loans, give it a try, worth looking for after all you have to repay the money you borrow. This option may not sound very well for you. But, when you need a huge amount of money (and fast), you really have to start thinking about the assets that you own and can sell. Initially, people tend to think that they don’t have any non-necessities to sell, but if you truly need the money think a little harder. Get rid of your TV, your stereo, your furniture, your new appliances (you can buy cheap used ones and use them for a while), and maybe even your car (if you live near the city). In reality, you may survive without these things and can amass a good chunk of money in a short amount of time by selling them. Big items, like furniture or bikes, are easiest to peddle at an old-fashioned yard sale. For gadgets, clothes and books, you often can get the most online. • Gift cards: Cardpool.com. Sell your gift cards for cash and earn up to 92% cash back at our gift card exchange. You will get free shipping on all transactions. • Kids and women’s clothes: Swap.com. Sell pre-owned kids’ items and women’s apparel on swap.com. An average customer box sent to Swap.com earns $150 in sales proceeds. 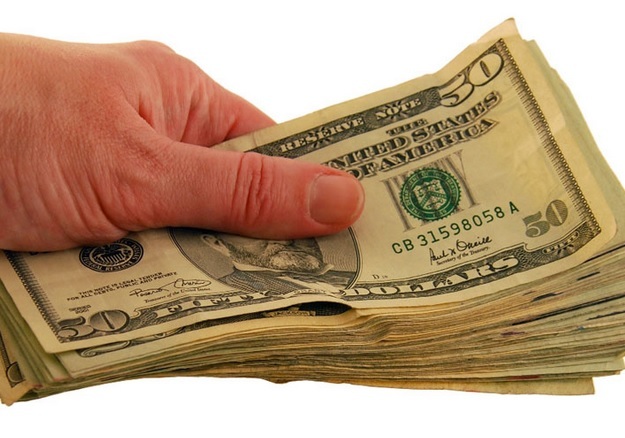 You can get the cash in as fast as one day or even half a day when you sell on local Craigslist. If you have a close friend or a relative who can lend you this short-term loan, then that’s the best option you have any time. Generally, you’ll not have to pay any interest but you’ll have to pay back the lender as soon as you can or your relationship could suffer. Be careful in selecting who this person would be and be prepared to hear a NO. That shouldn’t make your relationship sour. It’s ok to ask and it’s ok to get rejected. The other person might not have the money or he may have some upcoming need. Or, it could be a plain refusal, what ever it is, unless you are specifically told about the reason do not assume things and keep the friendly relations you had earlier. Try to go to the persons who you know can have that much money saved and do not need the money for some time. I was born in India and this is the first thing we do there when we need money all of a sudden. First is your home if you have enough equity built up in your home to cover for the need of cash. You may try to get a home equity loan. this is probably a better option than a personal loan. But, for some the emotional value of letting go of home (when the worse happens) can be too much to go for a home equity loan. I would still prefer a personal loan as not able to repay the home equity loan would cost me the home. Which I do not like to ever! Do read this guidelines before considering taking on home equity loans. There’ another property you can use to get a loan, your car. If you have a bad credit and you have a car, you can get a car title loan. Especially if you think your money need is short-term and you can payoff quickly. if you can’t payback on time, or you’ll most likely lose your car. Losing a car is still better than losing a home, but typically a car title loan carries steep interest charges. That’s why car title loans are considered bad and we encourage readers to avoid this type of loans. There are so many people who would consider this their first option, but please resist that temptation. Yes, it is a cheap way to borrow money (because you are essentially borrowing money from yourself), but you are taking on more risk and are giving up potential returns on that money because it is no longer gaining revenue for you in that retirement account. So why do I say that you have increased your risk if you borrow from your 401(k)? If you happen to leave your company for a new job or if you happen to get canned, then you need to repay that money you borrowed immediately. So yes, you can borrow from your retirement account, but please be aware of the risks before you do. Have you ever needed a large sum of money now? What did you do? You can also borrow money from a cash value life insurance policy. You can schedule the loan repayment without the job-switching concerns you mentioned with borrowing from a 401K. Kevin, very good option. Generally interest rate is favorable for 401k loan. Also if you don’t have such policy then you really don’t have this option. I don’t have term life insurance policy as well. I think there are some really good ideas if I needed cash that bad. Thanks for posting! I want my father and mather all time be happy.so I want money. Mdm give a idea arrenge small amount of money in easy way..